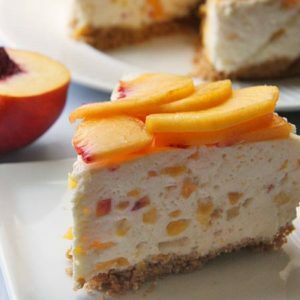 Creamy cool and sunny as the summer nectarines it includes, this light, fruit-flecked cheesecake was requested by reader Marge. Marge remembered making it for her mom’s 70 birthday. Now, she’s looking forward to having her daughter make it for her. The old-fashioned not-too-sweet crust is made with zweiback toast instead of graham crackers. We’ve included a recipe for zweiback, in case you can’t find store-bought. This unusual, light, fruit-flecked cheesecake is sunny as the summer nectarines it includes. The old-fashioned not-too-sweet crust is made with zweiback toast instead of graham crackers. We’ve included a recipe for zweiback, in case you can’t find store-bought. Combine yeast, lukewarm water, honey and ginger. Do not stir. Set aside until foamy. Combine whole wheat flour, tonka bean, salt and butter mixture. Add yeast mixture. Mix very well, using hands or heavy duty electric beater. Dough must be creamy, not sticky, and thick enough to be rolled between the hands and hold its shape. Add flour to get desired consistency; as much as 1 1/2 cups. Put dough in bowl. Cover and let rise in warm place until barely doubled. Punch down. Knead a bit. Break off hunks the size of golf balls and roll between palms of hand into sausage shapes about 3 inches long and 1 inch in diameter. Place on lightly oiled cookie sheet 1/4 inch apart. You should have about 30 rolls. Let rise until rolls barely touch each other and are slightly puffed. Bake at 400 degrees 15 to 20 minutes, or until rolls are done. Let the rolls dry out overnight. slice each roll lengthwise 1/4 to 1/2 inch thick. you should get 3 or 4 slices per roll. Lay them flat on cookie sheet and toast at 250 degrees until crisp and golden. Turn once or twice. To make into crumbs, crush with a rolling pin. Use an 8-inch, spring-form pan OR 8-inch round cake pan. Line either one with two wide strips of foil or waxed paper at right angles to each other, with ends long enough to extend up sides of pan and turn back over edge. Crush zwieback crumbs with rolling pin. Mix zweiback crumbs with butter, sugar and cinnamon. Press in even layer over bottom of pan. Bake at 350 degrees for 10 minutes. Cool. Soften gelatin in water in top of double boiler. Add milk, sugar, and salt; set over boiling water and heat until gelatin is dissolved, stirring occasionally. Beat egg yolk lightly. Stir a spoonful of hot gelatin into yolk, then combine with remaining gelatin. Cook 1 to 2 minutes longer, stirring constantly. Stir in vanilla, cover, and cool. Refrigerate. Meanwhile, beat egg whites until stiff. Chill in fridge. Whip cream. Chill in fridge. Combine cream cheese, chopped nectarines, and lemon peel; beat lightly, leaving nectarines in small chunks. Pull gelatin mixture out of the fridge; fold in cheese and fruit mixture. (Note: at this point the gelatin won’t be gelled–but don’t worry, it will gel as you cool finished cake overnight.) Fold in egg white and whipped cream. Turn into crust and chill until firm–overnight if possible. Remove from pan and peel off side-strips of foil/waxed paper, slipping cake onto serving platter. 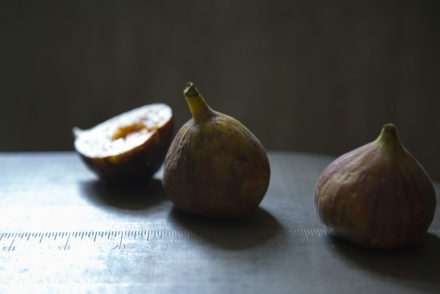 Decorate with fresh nectarine slices and mint sprigs.